Not every roof needs to be replaced. Some just need some tender love, care, and expertise. If you know whether that solution makes sense to you, you might save thousands of dollars. But if you’re just looking to save, and ignore the fact that replacement is actually necessary, you might go into even deeper debt fixing a problem just made worse. That sounds complicated. After all, chances are that you’re not a roofer, and might not know whether repair or replacement is the best option for your roof. That’s where we want to help. 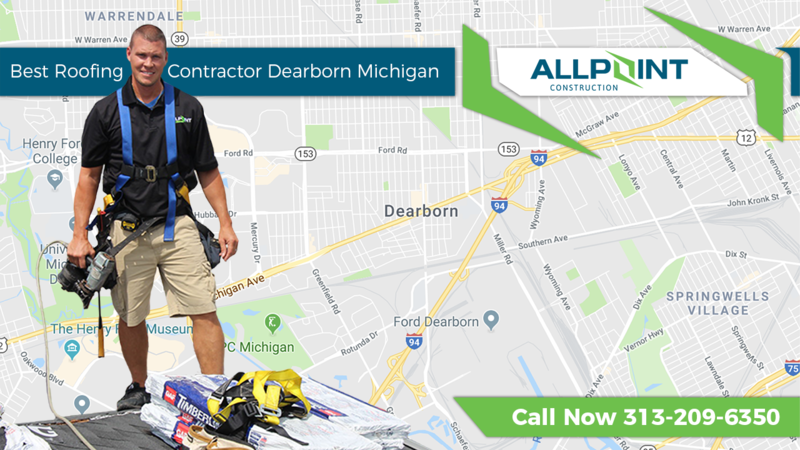 Our expertise in Dearborn roof repair and replacement might just be the perfect fit. That doesn’t mean you have no other option. Consider these 8 tips for making sure that you’re taking the right steps to ensure a stop of the leak, a better roof, and a safer home. First things first: the most common reason for roof repairs are leaks, and finding out where they’re coming from should be your first step. That’s not always easy. If you actually see water coming through, you probably know the general spot. If you don’t, you might have to rely on other signals. A trip to the attic tends to be a good first step to understand just where your roof is letting water come through. Remember that water always flows downhill. On a sloped roof, that means you might find moist wood or actual water drips further down than the leak, which might actually come from your chimney flashing. In those cases, finding the leak is more difficult, and might require the help of a professional. A more thorough examination might be needed, which we’ll cover in more detail below. Never go into a project without at least a decent understanding about its cost. That’s true about any project around your home, but certainly applies for your roof. While a simple repair may cost as little as $150, a complete roof replacement can easily go into the fifth digit of $10,000 and above. That makes a major difference as you’re planning for the necessary fix to keep your home dry and safe. Chances are you won’t know the exact cost until after a professional has come in and inspected the space. But you can at least get a better idea of the range, which allows you to start budgeting for the eventual work. That way, you won’t be blindsided by the time the repair is done and the bill comes do. In the interest of keeping your finances on the right track, that’s a crucial part of a successful project. The size of the leak isn’t the only thing that matters. It’s what’s on the inside that counts, too – in this case, the exact materials with which your roof is built. 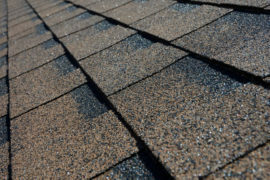 Many American homes use asphalt shingles, which are also relatively inexpensive to fix. Other materials like Slate cost significantly more. Know what your roof is made of to help you better budget for the project. HomeAdvisor has a great breakdown of the average repair costs for a roof depending on its materials. Of course, these numbers are still averages, and may not apply to your specific situations. Still, and again, they give you a better understanding of the range to budget with as you look for professionals. They also give you context once repair quotes come in, which we’ll discuss in more detail below. Sometimes, the root cause is not actually what it seems to be. That’s especially true for roofs, which are part of a complex ecosystem of building materials that you might not be aware of. For instance, the reason for a roof leak by the edge of the roof could be the chimney; or it could be clogged-up and damaged gutters preventing the free flow of water to the ground. When rainwater cannot properly escape, it will begin to pool on your roof. Once it does, it can more easily find seams to leak through. Those seams will need fixed, but so will the gutters that caused the problem to begin with. Cleaning out your gutters is free, if you’re willing to take on the work. Repairing the seams that show the actual leaks is a bit more complex, and might require the help of professionals. The simple point stands: look for the root cause, not just the spot where the water comes through. It’s a fine line to walk. A simple leak may just need a shingle replaced or flashing fixed. But before you know it, that simple repair turns into a complete replacement. How do you know where you stand? The answer, as mentioned above, might make a difference of thousands of dollars. The more you know about it, and the earlier you do, the better for both your budget and peace of mind. Part of the answer depends on the lifespan of your roof. 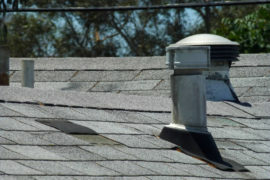 An old roof, even if the leak is small, is prone to further leaks down the roof. A new roof with a small leak, however, will probably last for years after a professional makes a few fixes here and there. Finding and fixing small problems and leaks early is another way to prevent the need for a complete replacement shortly thereafter. Never patch a new roof over an existing roof, but make sure any repairs integrate as seamlessly as possible into your existing structure. The key, though, is to not rely on the opinion of a single contractor. Some may just be out for the money, and will suggest a replacement no matter what. 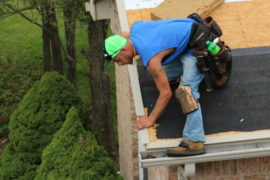 If you already have a roofer you trust, ask them first. If not, get a few estimates (ideally between three and five) and try to achieve a consensus. Make sure these estimates are free; don’t work with a company wanting to get paid before any actual work gets done. Knowledge of the area. They know the weather the roof has and will continue to face. That means they can adjust their recommendations and work accordingly. Experience with projects like yours. They know homes like yours because they’ve worked on them. When in doubt and for larger projects, ask for recommendations from past customers. Fast work. You don’t have to wait for contractors who are further away to actually come out. 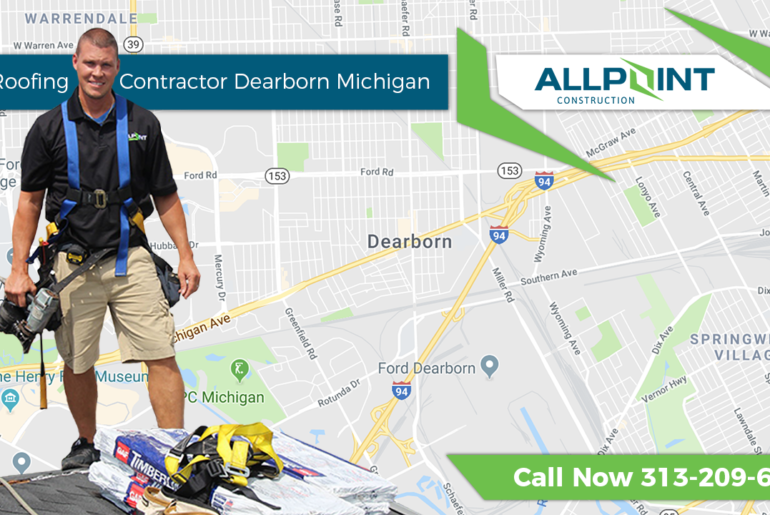 Your local Dearborn roof repair company can fix any emergency leak quickly, without the wait times. Especially for small repair projects that need a quick turnaround and fix, local expertise can be invaluable. And if a small repair turns into a complete replacement, you’ll be glad to have a local expert on your side who can help you through the project from start to finish. Finally, always remember that prevention is the best cure. Making sure that you have a healthy roof can go a long way towards ensuring that you won’t actually need the repair steps and tips outlined in this article. With the right roof maintenance, you’ll minimize the need for a professional to come out and for any complete roofing replacement in the near future. That includes regularly checking your roof, cleaning your gutters, and taking care of small repairs yourself. It also means finding a partner who can do an inspection and make small repairs before they turn into a big problem. Take care of your roof with the same effort you would use for your garden. After all, the safety of your home and family is at stake, as is your checkbook. We don’t tend to want to think about roofing maintenance. Unless we already have a leak or spot obvious problems, it’s one of those things we just prefer to keep out of our minds. That’s not necessarily the right approach. A small repair need like a leaking shingle, left alone, can cause major water damage. Before you know it, you have to pay $10,000 or more for a new roof rather than the $400 it would have cost to just replace the shingle. Of course, working with the right professional is always valuable. Learn about our expertise and experience, which could be invaluable should you need a quick repair or more comprehensive work. We look forward to hearing from you! 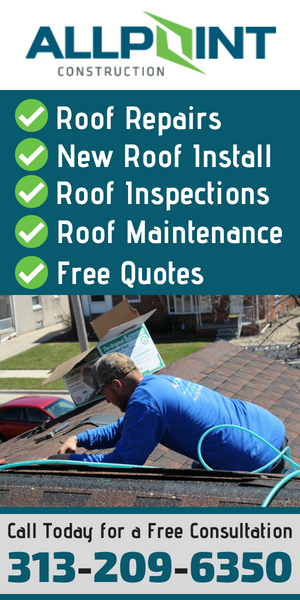 Does Your Roofing in Dearborn Michigan Need Repairs?